Thread Description:Head feathers no longer look normal. 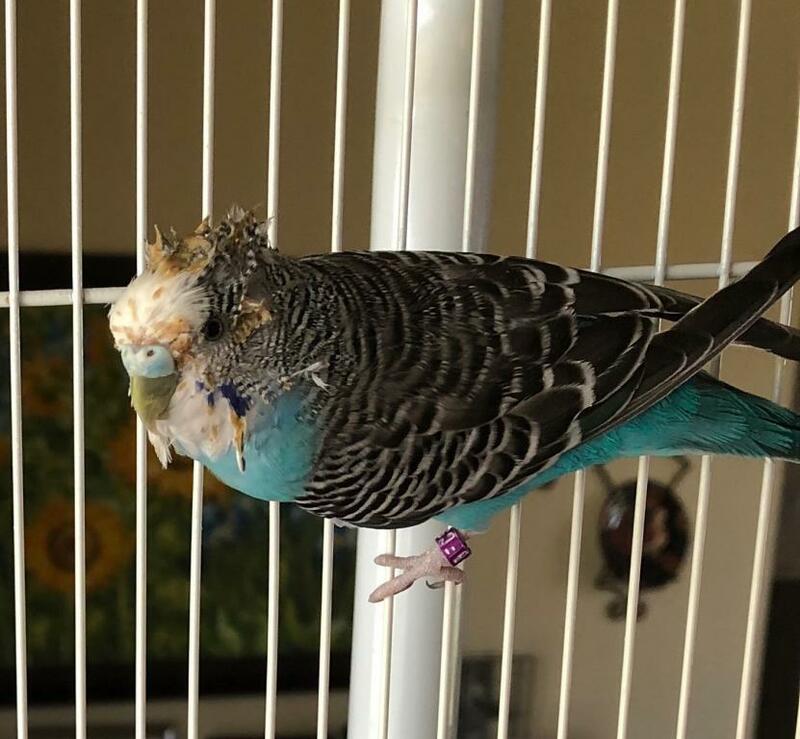 For several months his head feather haven't looked normal. They have been sticking up all over and now look like something brown is on them. He seems perky enough but doesn't chatter as much as he used to. I'm attaching a photo. Appreciate any suggestions. Why haven't you taken your budgie to an Avian Vet for the proper diagnosis and treatment plan instead of waiting several months? Avian Vets have special training to determine the cause of symptoms resulting from illness or trauma. This is important as "regular" vets will often overlook symptoms that are quickly obvious to an Avian Vet. When you rely on anyone who has not had training in Avian diagnosis and care, you may be delaying effective treatment. This can prolong suffering that may be avoidable. The bird will often require a more intense, prolonged treatment with a poorer chance of full recovery than it would have if you seek prompt professional diagnosis and treatment at the first sign of illness. If there are no Avian Vets near you, please find an Exotic Pet Veterinarian with experience in dealing with small birds. Ensuring one provides proper vet care is part of the responsibility of pet ownership. Has your bird been vomiting? Sometimes when a bird vomits it gets stuck to the face and head. Wow, I can honestly say that I've never ever seen a bird with this issue. A vet visit is needed, for sure! Please keep us updated on what the vet says about this, i'm curious to know the outcome. I agree this needs the attention of an avian vet. This is not something that can be remedied by forum advice. It looks to me like she (you have a female not male) has been vomiting. They shake their head and it often goes on the feathers. Please get this checked out and treated by an avian vet right away.